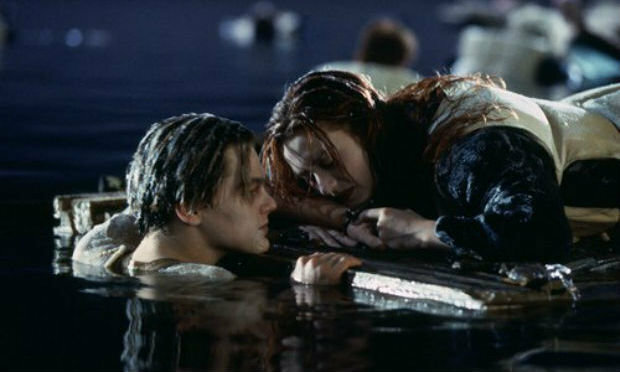 It’s quickly become one of the greatest debates of our time: At the end of Titanic, was there room on that floating door for Jack? If Rose had scooched over, would he have been able to fit instead of freezing to death? If you’re just now weighing in on the great door debate, people have already taken sides. Back in 2012, the TV show MythBusters recreated the fateful scene and proved that both Jack and Rose could have fit—and floated—on the door if they had tied her life best to the bottom of the door. Let’s think about this though. To be fair, if I had just escaped a sinking ship (after having an affair and being shot at) and I was dangerously close to freezing to death in the ocean, I don’t know if it would occur to me to unbuckle my one guaranteed method of survival and strap it around my only other hope, a floating piece of wood. And that was that. We opened the issue, MythBusters addressed it, Kate addressed it, everyone reminisced about the ’90s and had a good laugh, end of story. But of course, that wasn’t good enough for the Internet, and we still haven’t been able to drop the issue. Kate STILL gets asked about it, weeks later, and is starting to wonder what all the fuss is about. But what about Leo? What camp is he in? “He doesn’t care about the door,” she continued. Well, that settles that. Kate and Leo are over it, and are ready for us to move on too. Still, we can’t help but think—if they’d just thought a little more scientifically, Titanic could have had a very different outcome!